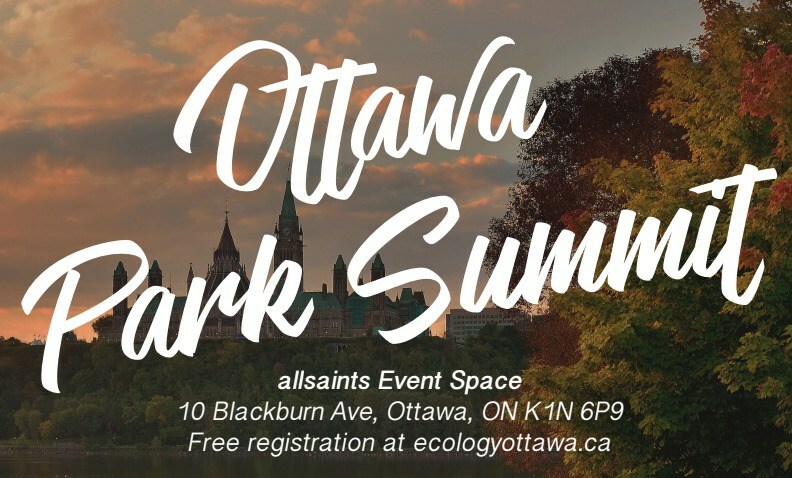 Ecology Ottawa, in collaboration with Park People, is holding the annual Ottawa Park Summit on Saturday, Apr. 21, 2018. The aim is to bring residents together to plan for and engage in making our parks green and effective spaces. After the Summit, Ecology Ottawa hosts an Earth Day Party to celebrate Earth Day and the efforts of all in Ottawa who are working to create a sustainable city. The Ottawa Park Summit takes place from 2-6 p.m. at allsaints Event Space (10 Blackburn Ave.). The Earth Day Party runs 8-11 p.m. at 25One Community (251 Bank St.).